Brokenchord - Endless Transmission. Vinyl LP. Bleep. The wonderful Black Acre continue their fruitful partnership with Lithuanian producer Brokenchord. 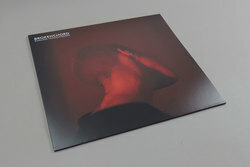 Endless Transmission is a record of detailed, plaintive electronica that bears some similarity to Bonobo and The King of Limbs-era Radiohead, albeit with a smattering of leftover rave stylings thrown into the mix as well. The keening ‘Ochre’, for instance, brings together lilting synth arpeggios and a skittering drum beat with laser-beam keys, whereas closer ‘Parabola’s massive and moody bass throb recalls Massive Attack. Largely performed and composed solely by Brokenchord, it also features drumming from jazzer Augustus Baronas, who brings a nice deftness of touch with his features.